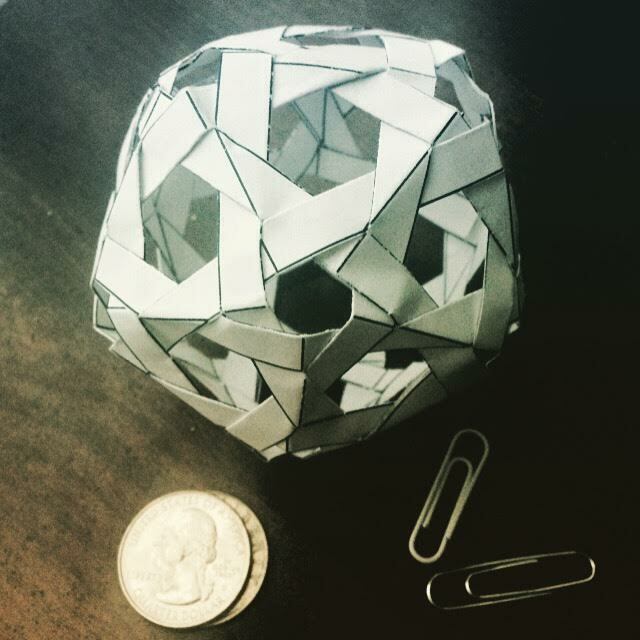 You can weave an icosahedron from 10 strips of paper — or anyway you can weave a construction that has icosahedral geometry; it is actually more of a snub icosahedron. 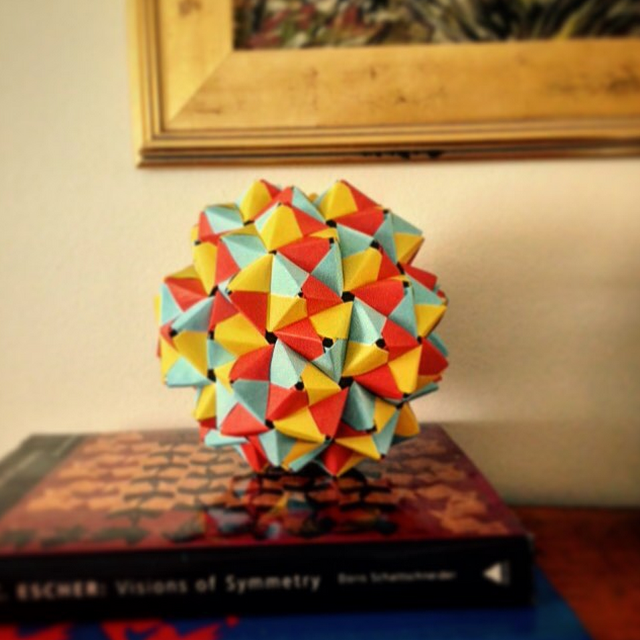 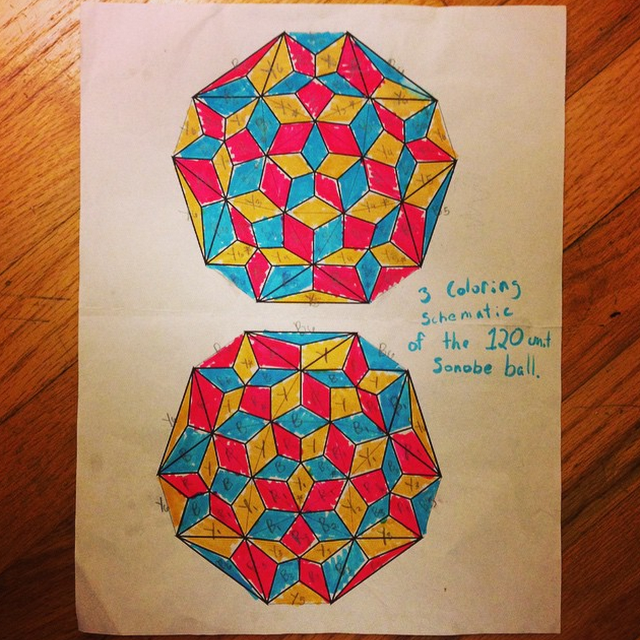 Below is a modular origami construction known as the 120-unit sonobe ball. 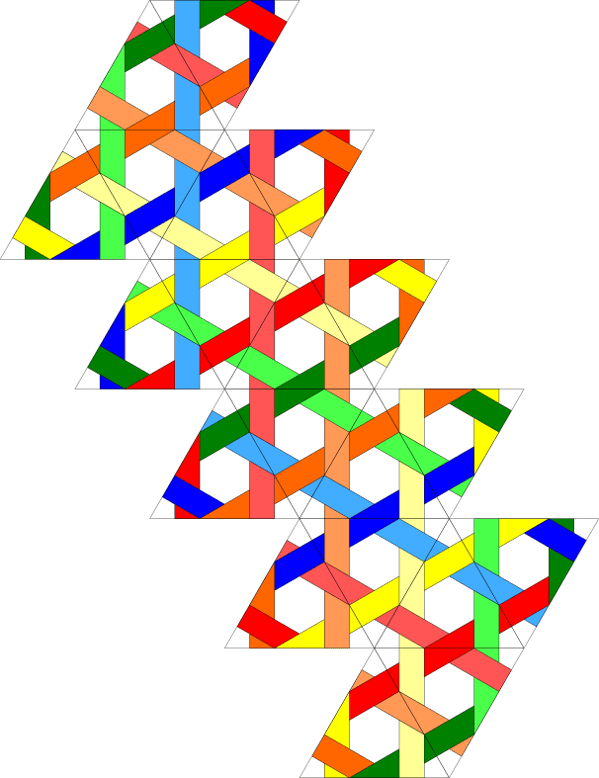 It has the geometry of an icosidodecahedron but with the 12 pentagonal faces of the icosidodecahedron split into five of the little equilateral pyramids that sonobe units demand.